﻿ Kassoft India Pvt. Ltd.
Silver Jubilee (1987 - 2018)... and Still growing strong! Kassoft India Pvt. 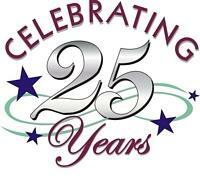 Ltd. is celebrating 25 glorious years of success. Over the years the business has grown steadily and is now one of the largest privately owned Software companies in India. We continue to provide an increasingly competitive, highly efficient and reliable service with a large proportion of our business being repeat. The remarkable success of Kassoft India Pvt. Ltd. in the last 25 years is due to dedication, hard work, expertise in the field, teamwork and an in-depth understanding of customer requirements in the software industry. Kassoft India Pvt. Ltd. has continually gone from strength to strength and has achieved significant growth year on year. We are already looking forward to the next 25 years!.